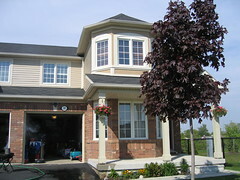 This my sister, Ranie's new house, in a suburb West of Toronto. She's moving into this house in mid-August 2006. Click here to see more pictures of the house.